Can what we eat help fix what ails us? Research increasingly suggests the answer is “yes.” Many foods contain biofactors — biologically active compounds — that may prevent and treat illnesses including asthma, diabetes and heart disease, according to new studies from the UC Davis Center for Health and Nutrition Research (CHNR). The upcoming July-September California Agriculture journal (to be posted by July 11) reports UC research into plant compounds (phytochemicals) that can help prevent or treat disease. The findings stem from pilot projects at the center, as well as other UC research. Articles focus on how micronutrients, biofactors and phytochemicals (plant compounds) can help reduce the risk of chronic diseases. 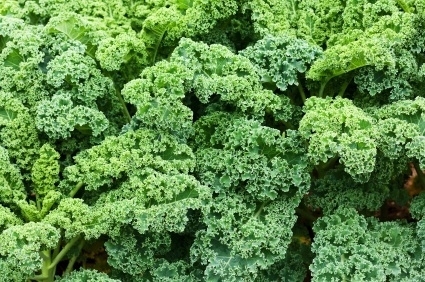 Kale is a rich source of omega-3 fatty acids. Biofactors are compounds in our food that affect us at the biochemical level and may ultimately benefit our health. For example, the omega-3 fatty acids in foods such as walnuts, flax seeds, kale and salmon may protect against a range of diseases associated with inflammation, including asthma and the hypertension-related inflammation that can damage kidneys. CHNR research suggests that omega-3 fatty acids could reduce asthma symptoms as well as kidney damage. Phytochemicals and health. Epidemiological studies link particular diets to less risk of chronic diseases. Notably, the traditional Mediterranean diet — mostly vegetables, fruits and whole grains, with moderate amounts of nuts, olive oil and red wine — is associated with lower rates of heart disease, cancer, and Parkinson's and Alzheimer's diseases. However, it has yet to be firmly established that specific phytochemicals in our diets can protect against diseases. Nutritionists therefore advise eating a wide variety of plant-based foods rather than taking supplements. 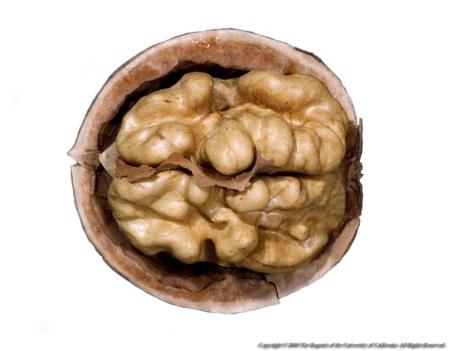 Walnuts are an important source of omega-3 fatty acids. That said, a number of phytochemicals do show promise in protecting against and even treating chronic diseases. For example, research shows that soybeans contain estrogen-like compounds called isoflavones that may protect against heart disease, and that compounds in olive oil and red wine may protect against heart disease and diabetes. Mitochondrial nutrients and aging. The Mediterranean diet is rich in plant compounds that boost mitochondria (organelles in our cells that convert glucose and other nutrients into energy) and so are known as mitochondrial nutrients. When mitochondria are scarce or have genetic defects that keep them from working properly, this can generate toxic metabolites and damaging free radicals. “Mitochondria are central to aging,” says UC Irvine aging expert Edward Sharman. “Improving their function may modulate or delay the onset of diseases related to aging, such as type 2 diabetes and age-related macular degeneration.” Mitochondrial dysfunction also plays a key role in chronic illnesses such as heart disease, type 2 diabetes and inflammatory diseases such as arthritis. 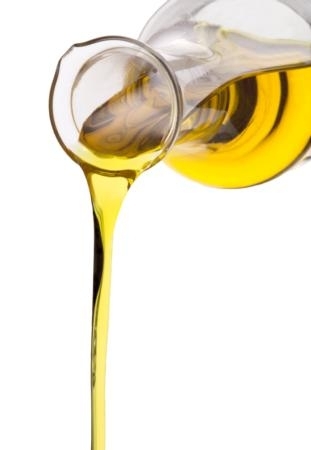 Extra virgin olive oil contains hydroxytyrosol, an important nutrient for cellular mitochondria. One of the most promising mitochondrial nutrients is hydroxytyrosol, which is abundant in the extra-virgin olive oil that provides most of the fat in the traditional Mediterranean diet. Moreover, the red wine that is integral to the Mediterranean diet also induces the body to produce more hydroxytyrosol. A new essential nutrient? Another promising mitochondrial nutrient is pyrroloquinoline quinone (PQQ), which was first found in nitrogen-fixing soil bacteria and is now known to be ubiquitous. While Escherichia coli and other common gut bacteria do not make PQQ, the soil bacteria provide it to the plants in our diet. Good sources include fermented soybeans, wine, tea and cocoa. Animal studies show that PQQ affects health markedly. Rucker and his colleagues found that depriving rats of PQQ compromised their immune systems, and retarded their growth and reproductive rates. In contrast, restoring PQQ to their diets reversed these effects and returned them to good health. Moreover, PQQ stimulated nerve growth and counteracted aging in cultured cells. Rucker and his colleagues found that, like hydroxytyrosol, PQQ increases the number of mitochondria in cells. “It’s also an extremely good antioxidant and anti-inflammatory agent,” he says. Personalized medicine. Understanding what biofactors do in our bodies could ultimately lead to personalized medicine, where nutrition-based treatments are tailored to the particulars of each person’s biochemistry. This individual variation at the biochemical level may help explain the inconsistent outcomes of research on omega-3 fatty acids and inflammation. Asthma can be caused by multiple biochemical pathways, which are series of chemical reactions in our cells that metabolize compounds into other products. One pathway leading to asthma may be counteracted by the omega-3 fatty acids in fish oil, and this pathway may be more active in some patients than in others. To identify those likely to benefit from omega-3 fatty acid treatment, Kenyon and his collaborators are genotyping asthma patients. This genotyping is targeted to DNA sequences associated with asthma and so is not comprehensive. 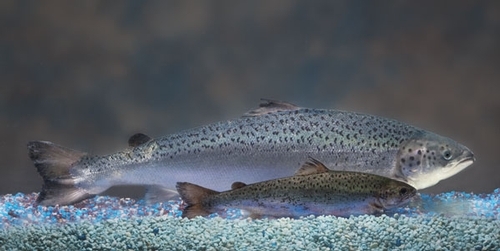 The U.S. Food and Drug Administration is considering approval of genetically engineered salmon developed by AquaBounty Technologies, a Massachusetts biotechnology company focused on improving productivity in commercial aquaculture. Paul Olin of the California Sea Grant Extension Program says the transgenic salmon is safe for consumption and the environment. "If we take time to learn the facts and understand the science we can all appreciate new advances in our ability to produce healthy, sustainable food with the confidence that it has been vetted by the scrutiny of the world’s best science," Olin said. 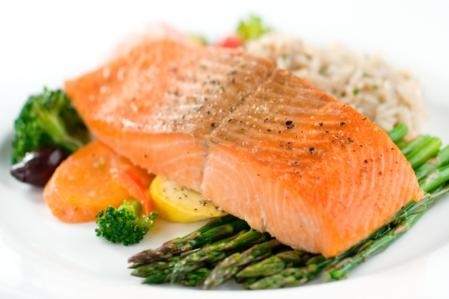 The “AquAdvantage” Atlantic salmon (AAS) has two genes that considerably hasten its growth, one from Chinook salmon and the other from ocean pout. AAS reaches market size twice as fast as traditional salmon, providing an economic benefit to farmers and enhancing the economic viability of inland operations, thereby diminishing the need for ocean pens. AquaBounty plans to grow the hybrid fish on Prince Edward Island, ship small fish to inland recirculating production systems in Panama, harvest and process the fish, and ship food grade product back to the United States for sale. The fish for this production system would be 95 percent triploid females, as a duplicative measure to prevent reproduction. Olin said triploid crops have an extra set of genes and are widely used in agriculture including such apple varieties as Gravenstein and MacIntosh, and seedless bananas, watermelon and grapes. Olin cited a 2008 scientific review, published in the Journal of the Royal Society of Medicine, that said GM foods had been eaten by millions of people worldwide for 15 years, with no reports of ill effects. "New technologies to genetically improve food and animal crops are one tool to supply the additional food people will need in the future, improving human health, reducing the use of pesticides and fertilizers, and reducing the carbon footprint of animal and plant agriculture," Olin said. Size comparison of an AquAdvantage® Salmon (background) vs. a non-transgenic Atlantic salmon sibling (foreground) of the same age.